This past Monday was my birthday and sadly I wasn’t feeling quite like myself. That didn’t stop me from spending the morning with an old friend and doing something that I love; enjoying nature and documenting what I see through my camera. A high school friend of mine is planning her step-daughters wedding at O’Leno State Park in September and she needed to go out there to see the dining hall and pick some cabins for the guest houses. She knows that I love hiking and photography so she invited me and my camera along to hang out with her. 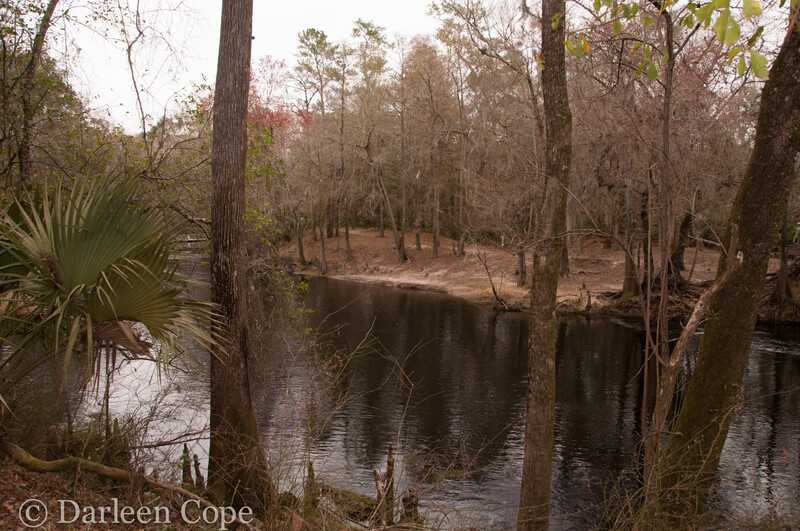 O’Leno State Park is located in High Springs, Florida – about an hour from Jacksonville. 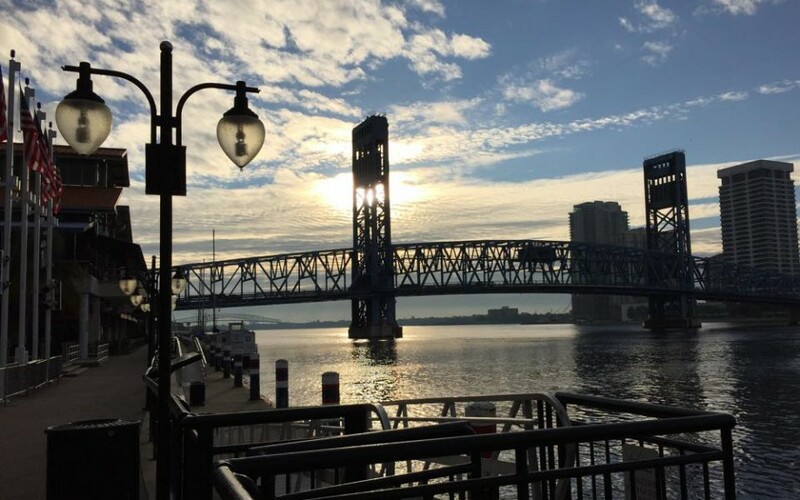 It includes a portion of the Santa Fe River and is home to a number of wildlife including deer, turtles, alligators, squirrels, and numerous birds. There are several hikes throughout the park, but we chose the river hike which is about a mile and a half loop that takes you along the Sante Fe River, to a large sink where the river simply disappears underground. It was a gray and overcast day and as I said I wasn’t really feeling well, but in spite of that, it was a nice walk. Even though the water at the sink was covered in a thick layer of green algae, it didn’t seem to bother the turtles that were hanging out on the logs floating around. 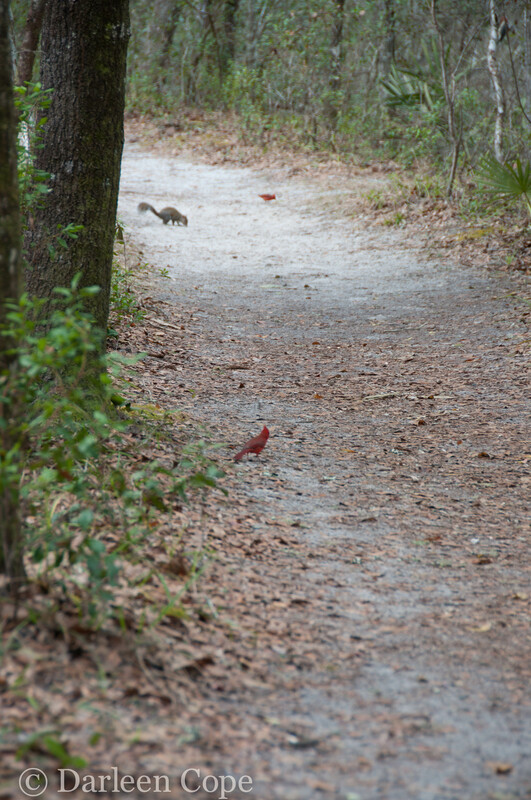 In addition to the turtles optimistically waiting for the sun to come out and warm their dark green shells, we saw numerous squirrels, a few birds, including Cardinals, and a cute little deer chowing down on some breakfast. 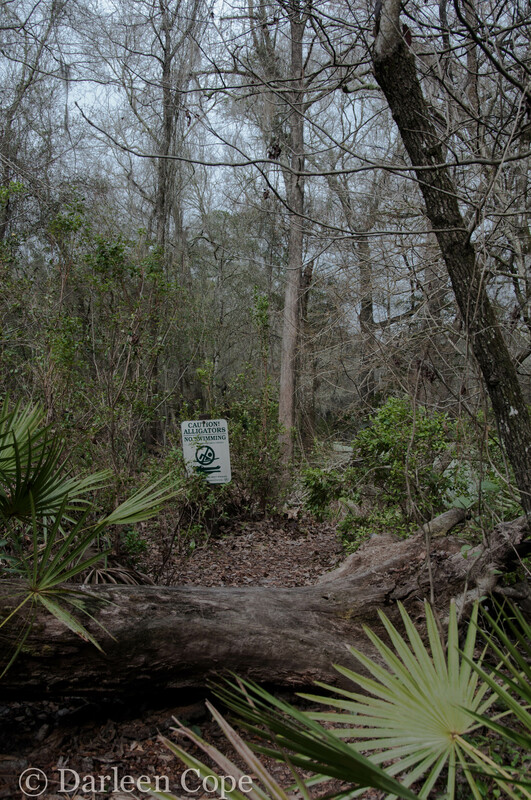 I spent the better part of the day fearful that we were going to come face to face with a gator, but if I am being honest, I am a little disappointed that we didn’t. Below you will find a few pictures from the day. Such a pretty little deer, checking us out before going back to her breakfast. Don’t go swimming out there! A turtle hanging out at the sink. Turtles at the sink. This log just slowly spun around all day long. All-in-all, it was a great way to spend a birthday. Have you ever visited a state park? Where’s your “happy place”? It’s the day before Thanksgiving and as anyone who’s ever hosted Thanksgiving dinner knows, it’s not a day of rest, but rather the day to do much of the baking and cleaning to prepare for the big day. Today, we will make cheeseballs, dips, pies, cakes, and boil the eggs for deviled eggs. To be honest, those are my favorite things, the appetizers and desserts, everything else is just gravy (see what I did there:)).